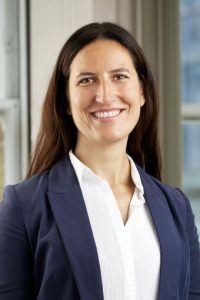 Christina Mayr is a Principal Consultant focusing on private sector development, market systems development and access to finance. Most recently Christina has been conducting market assessments for ILO and GIZ in Sudan, Ethiopia and Jordan to identify sectors that present opportunities for growth and potential for employment creation. She particularly focused on the role micro-, small and medium enterprises (MSMEs) can play and developed strategies for integrating them into supply chains as well as creating forward and backward linkages to ease their access to inputs and markets. Since 2016 Christina has also been the Market Systems Analyst on the Land Investment for Transformation (LIFT) project in Ethiopia where she supports interventions in the areas of access to finance, rural land rental and agricultural inputs to increase access to these markets for rural land holders. Prior to joining Nathan, Christina was the Market Systems Advisor for the Arab Women Enterprise Fund (AWEF) project in Egypt, where she provided technical guidance and oversight in the design of interventions, including the development of results chains and monitoring plans for interventions. She also assisted the sector selection process for women’s job creation interventions in Egypt, conducted an in-depth analysis of the citrus sector, and developed project interventions in line with the developed vision for the sector. Throughout her career, Christina has successfully led on numerous business development opportunities with the EU, DFID, GIZ and other donors. She is also well experienced in project management, overseeing both the managerial and technical inputs of programmes. She is currently the Project Director of a World Bank funded project in Zambia and manages a regional trade project in Southern Africa funded by the EU.